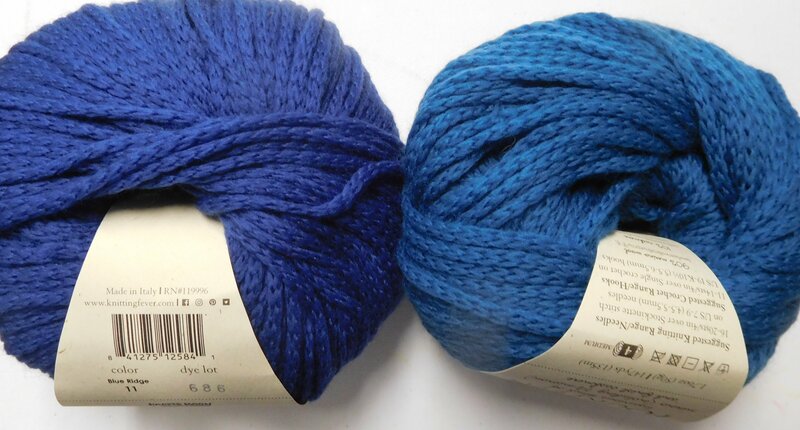 This Juniper Moon yarn takes softness to a whole new level! Using extrafine merino (EFM, for short) which can measure as fine as 14 microns (for comparison, cashmere is around 15 microns and the smaller the number the softer!) 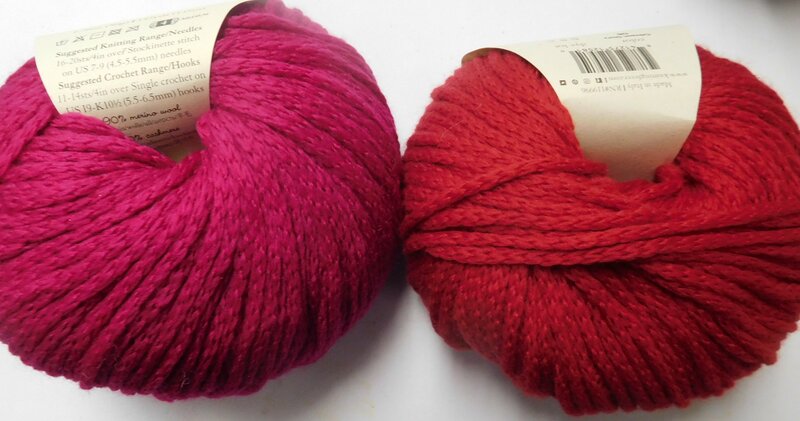 combined with 10% cashmere, this yarn is spun as a "chainette" or others call it "crepe" yarn. 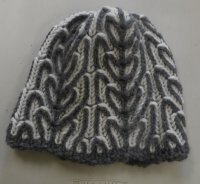 The benefits of this type of construction is that you get a bulkier yarn (i.e. 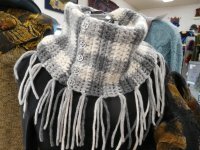 bigger and quicker knit) without the bulk! 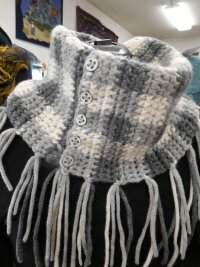 Other popular "chainettes" that also knit at a similar gauge but offer a more luxurious, a more "value" and a "cotton" option, are Bliss's Lhasa and both Stratus and Cumulus (cotton) by Juniper Moon. So back to Fourteen - it is super soft and features 147 yards in 12 lovely colors. 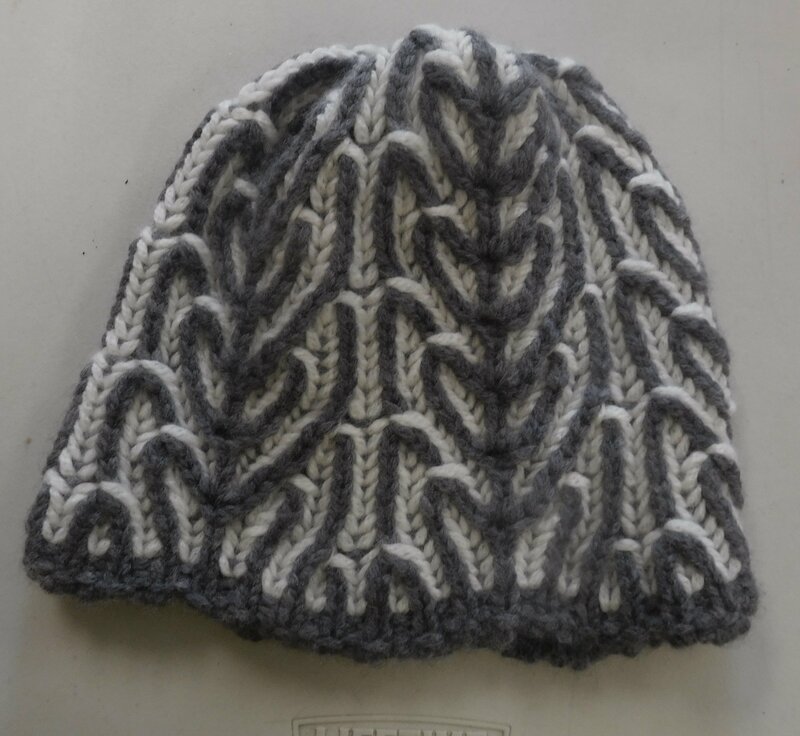 It is recommended knit at 4.5 sts/inch on a US 7 - 9. And for those of you who enjoy crochet - yeah! 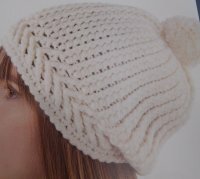 There are a couple of cute crochet patterns to support this yarn - both the middle hat and cowl shown left are crochet patterns designed for this yarn. And the brioche hat knit and shown far right is a superfun project that uses a half skein each of 2 colors - so 2 skeins gets you two hats.